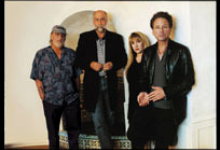 In March 2004 legendary band Fleetwood Mac returned to Australia. The sold out “Say You Will” tour was performed in the major entertainment centres as well as outdoor concerts in Perth & Adelaide. JPS supplied a Clair Bros i4/i4B speaker system controlled by the Clair io speaker management system. This system comprised of a total of 40 x i4 cabinets and 40 x i4B’s flown in various configurations to suit the coverage for the seating areas. The touring monitor control system incorporated 4 x Midas Heritage 3000 consoles to supply both in-ear and wedge mixes.